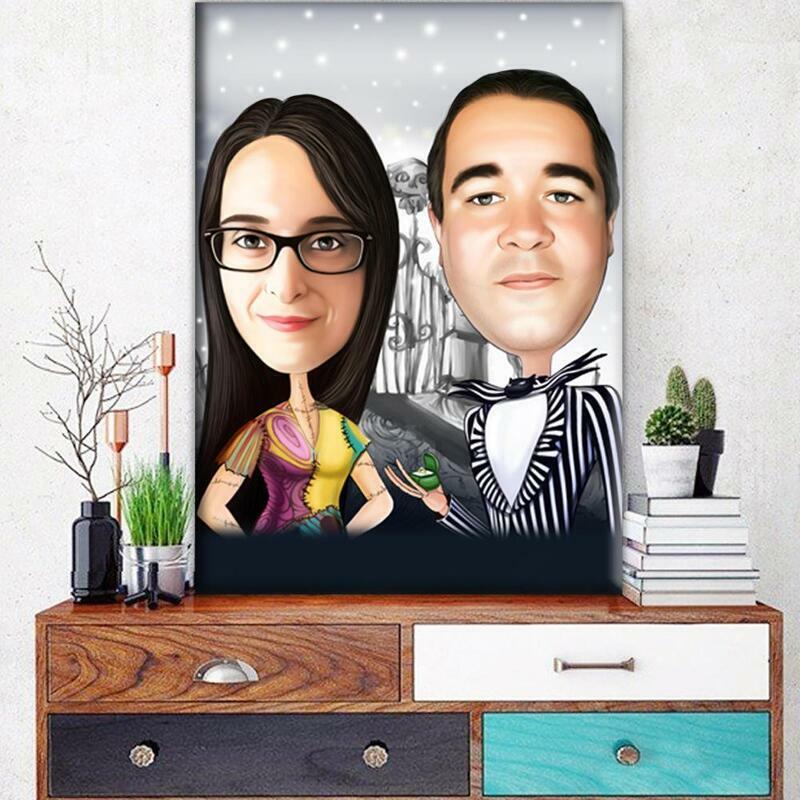 Would you like to get a bright digital cartoon of two persons who will be hand-drawn from photos in a funny cartoon digital style? 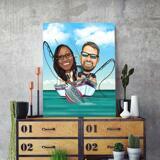 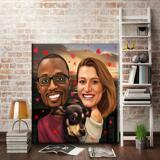 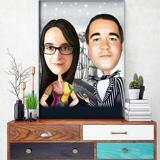 Commission Photolamus to create a personalized canvas print with an imprinted digital couple cartoon portrait. 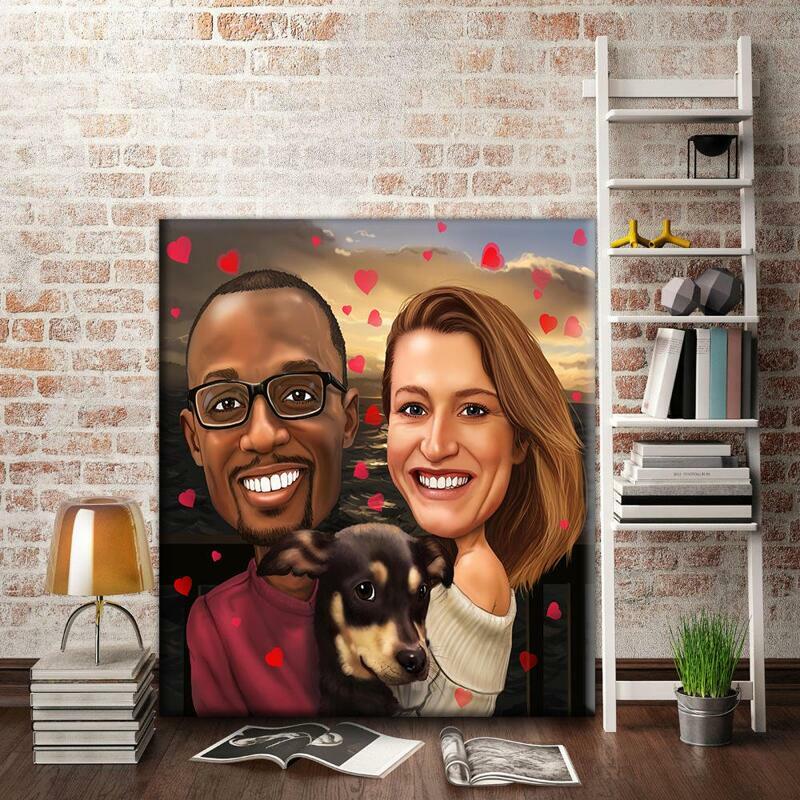 Cartoon will be drawn by professional artist, so you can mention any requirements and ideas regarding custom background design and Photolamus will make it happen. Cartoon Drawing will be designed according to submitted requirements. 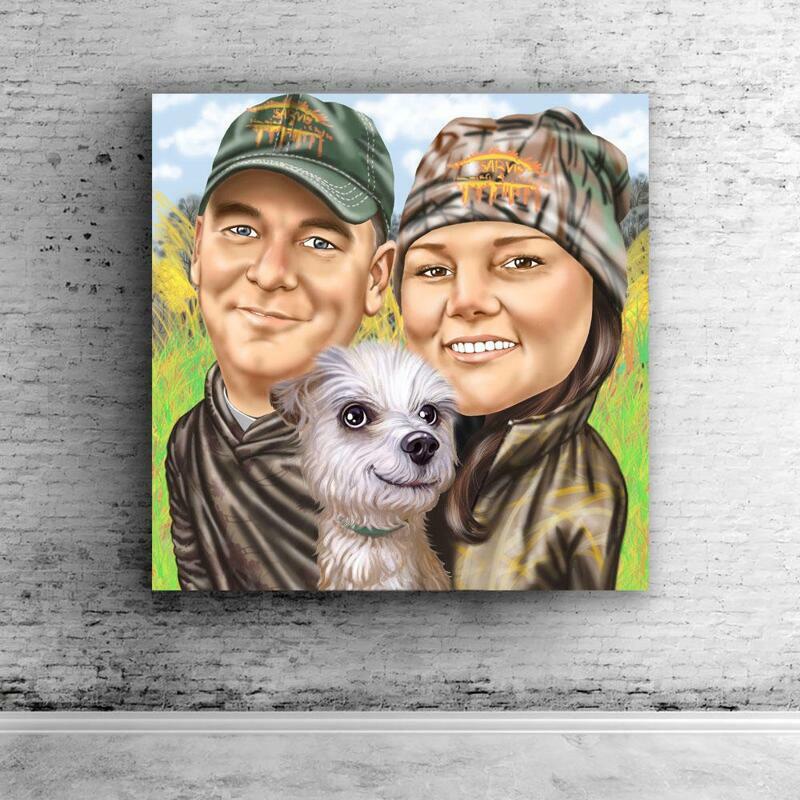 We will create an amazing drawing which can be further printed on other surfaces and used in many personal ways of your choice. 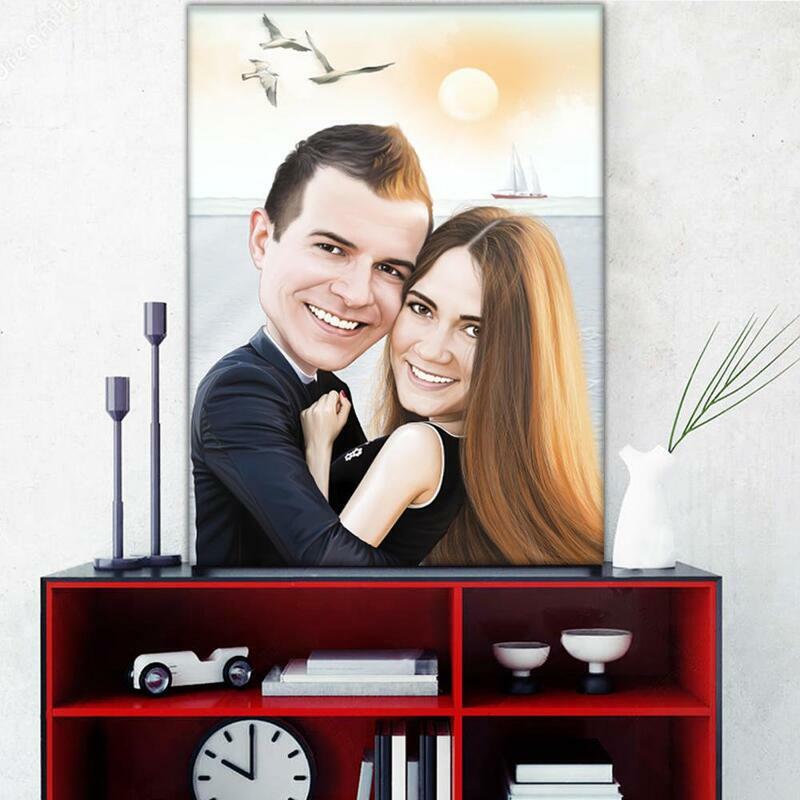 Ready-made digital cartoon drawing printed on canvas will make a creative gift on Birthday, Thanksgiving Day, Anniversary and on many other days when you will simply want to make a surprise to someone special for you. 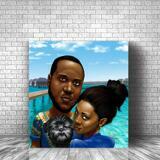 Canvas Print will be shipped by post within 20 days. Worldwide shipping is available.